Your Summer should be spent having fun with your kids or enjoying your favorite hobby, not stressing over plumbing problems. Finding plumbing issues early will help you get them repaired before they cause extensive water damage to your home. There are many plumbing tips that will help you detect problems early on, to prevent major damages down the road. Check each of your faucets regularly, both inside and outside of your home. 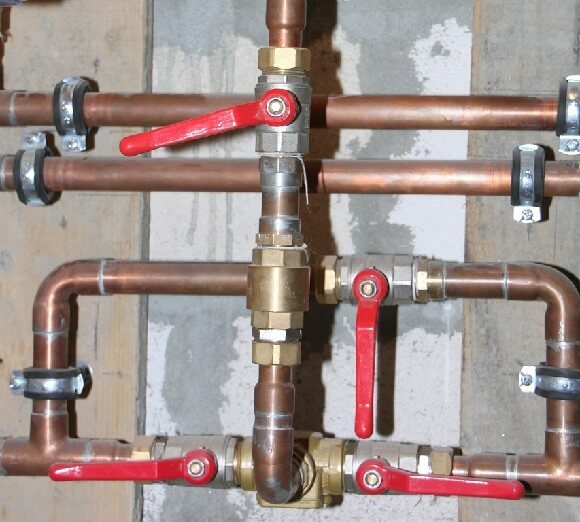 A change in pressure could indicate a leak or broken pipe somewhere within your system. In some cases, a problem with your water pressure could mean a problem with the water lines leading to your home. If you can’t find the cause, your first call should be to the water company. Toilets that don’t shut off, dripping faucets, or water pressure that isn’t up to par can indicate a leak somewhere along your pipes. Leaks can be caused by loose fittings, worn out pipes, or broken fixtures. If you happen to find a drip or puddle of water, try to find out where it comes from. Know where your main water valve is and how to turn it off. Being able to turn off the main valve will not only help you control the leak, but it will also make it much easier for repairs to be made. Control over the main valve also prevents you from losing massive amounts of water. Clean your drains often and avoid allowing excessive amounts of hair, grease, or food to go down the drain. Clogs are one of the biggest causes of plumbing problems throughout the year. Put small sink traps over your drains to prevent unwanted food and other materials from being sucked away as the water drains. Keep a close eye on your sprinkler system. If you happen to notice soft spots in your yard that tend to fill with water or appear muddy, your sprinkler system may be leaking. If you can’t find the leak yourself, it’s always a good idea to call a professional plumber or the company who installed your system. Following these simple plumbing tips in the Summer can save you hundreds of dollars in wasted water and plumbing repairs. If you are looking for specialized plumbing services in Orange County, contact us. Our leak detection & repair experts will provide a quick solution for your plumbing problems. Pipeline Restoration Plumbing, Inc. has been serving Orange County since 2008. We have helped thousands of customers with repairing their slab leaks and protecting their water systems from future corrosion. You can count on us whenever you need our services. We are here to help!